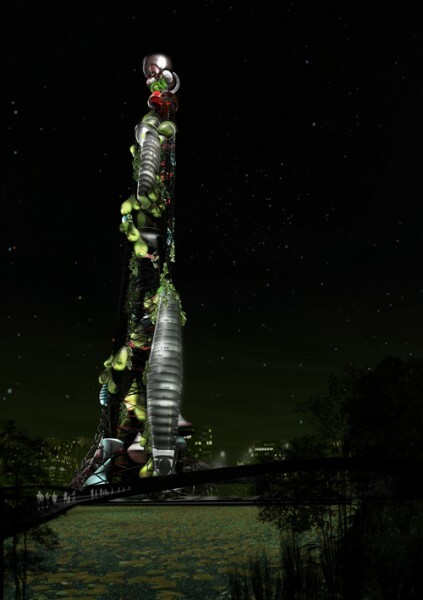 The tower's form is based on the growth of algae. The day after the symposium, I drove Cook to New Haven to see the two Stirling exhibitions currently on view at the Yale Center for British Art and the School of Architecture, and his review will appear in an upcoming issue of The Architect’s Newspaper. On the way up to New Haven, we talked about the work on his new university building in Vienna, and the unhappy state of his projects in Madrid (stopped during construction) and a theater in Verbania, Italy (stalled for political reasons), but he was pleased about his second-place scheme for the Taiwan Tower Conceptual Design international competition and its $65,000 prize. 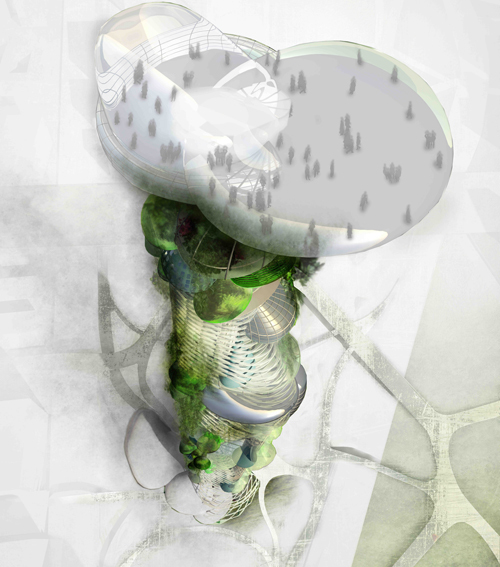 The tower, which is based on “the growing of algae in layers of droplets,” proves that after many years of producing legendary drawings and ideas with Archigram, and serving as chair of the Bartlett School in London, Cook’s Kunsthaus Graz (2000–2003) was no fluke, and that he can design powerful contemporary structures.